Does Neutrogena Pore Refining Cleanser Eliminate BlackHeads? Tired of stubborn blackheads, I know I am. We stand in the mirror pinching our skin and scrubbing, but nothing seems to get deep down to eliminate that trapped dirt. The larger our pores naturally are the more we suffer from blackheads. 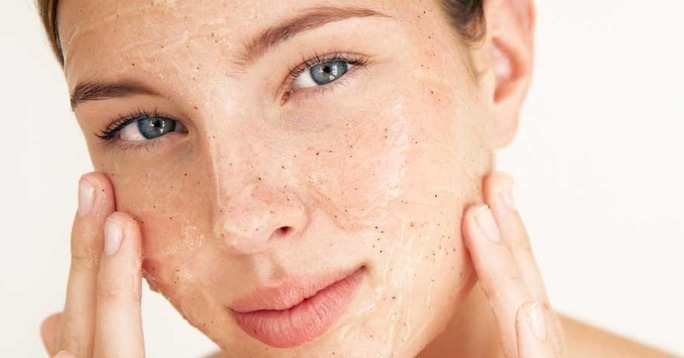 Facials to steam them out are super expensive, and some dermatologists say that facials are a one way ticket to more breakouts.Neutrogena Pore Refining Cleanser is yet another product that claims it will help us win the war against blackheads. I don’t know about you, but I don’t trust anything any skin care company says at this point. That is why I write real reviews for real women to get to the truth and spread it so that we all don’t waste our time and money on products that don’t work.Don’t believe the promise, believe science, real user reviews, and skin care technology. While the microbeads work to physically scrub and eliminate dirt and other debris plaguing your skin, what are the other ingredients doing? In a lot of cleansers they are just fillers or mild foaming agents. With Neutrogena Pore Refining Exfoliating Cleanser Alpha and Beta Hydroxyl work to penetrate the pores. The ingredients access deep layers of the skin to prevent dead skin cells from accumulating and clogging pores. If you can prevent clogging pores you can prevent blackheads. The main problem with this cleanser is that the only way it reduces the appearance of pores is through keeping pores clean and free of dirt and debris. There are no tightening agents to tone the pores. Without dirt in them it will minimize their appearance and stop break outs thus improving complexion. Sloughing off dead skin will also even skin tone, but to say the pores are physically closing in and shrinking would be incorrect. If you want younger and brighter looking skin and want a way to keep it clean this is a great daily cleanser. If you are fighting off serious acne, there are other Neutrogena products that will probably suit your needs much better. This product is best suited for those with oily or combination skin. If you have dry skin it will be a huge mistake to use this product, you will need something less abrasive. If you suffer from redness this will also not work well for you. If you have huge pores and suffer from greasy skin with reoccurring deep blackheads, this product was made for you! ← Previous Story Obagi Nu-Derm Clear Fix OTC Gel Review: Is it the real deal? Next Story → Estee Lauder Verite LightLotion Cleanser– Is It Effective?